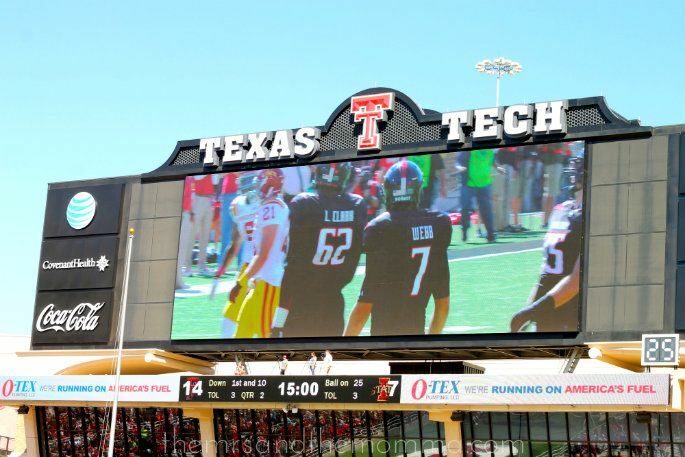 You probably have no idea where Lubbock is. Lubbock was my home for five years (I took a semester off and double majored, okay??!) and I detested the town for four of those years. 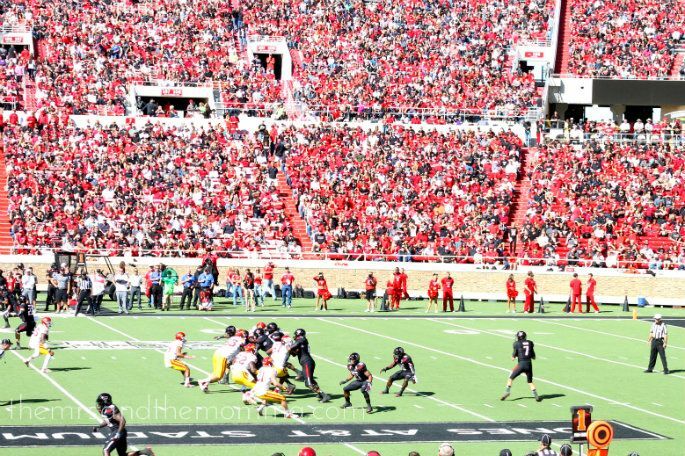 Then one day, it dawned on me that I actually had fallen in love with Lubbock. I don't know how it happened, but it sure did. Probably making a whole lotta friends and memories there has something to do with it, along with the realization of how far I've come as a person in the last ten years since college....the west Texas town holds a special place in my heart. And whenever I visit, I have a huge sense of nostalgia wash over me, which tries to convince me that I need to live there again. Unfortunately, we missed my favorite part...all the pre-game festivities that give me the chills. 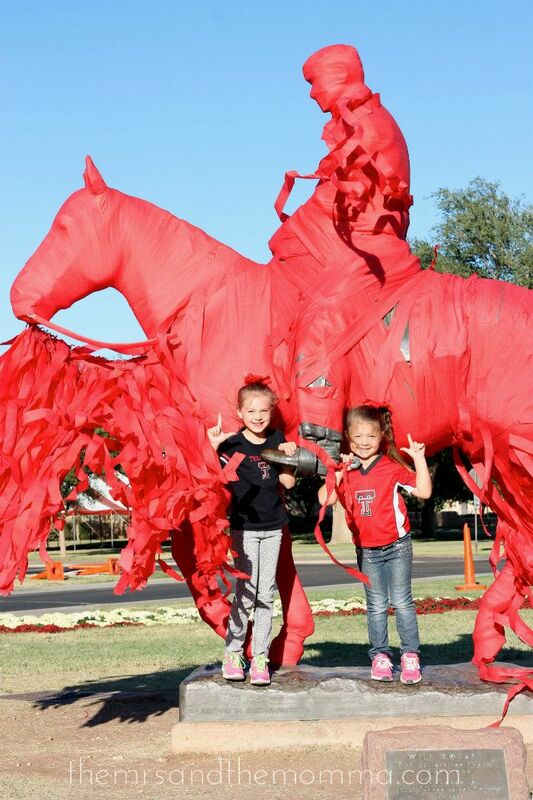 I really wanted to the girls to see the Masked Rider jet out on his black horse or to smile at the Goin' Band high-knee it across the field, but it was still a great time...and thankfully, we pulled out a win. After the game, we walked around campus a bit and took the obligatory Will Rogers picture. 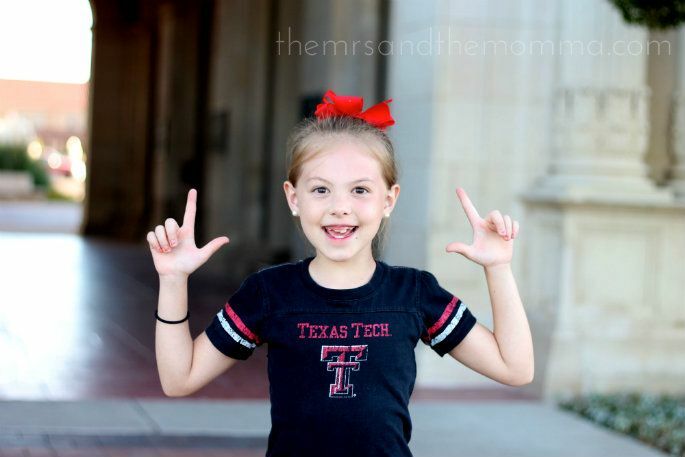 Guns Up! But I sure do love the people, the university, home-town feel it exudes... And most of all, I love the memories it holds for me and Blake. And in completely unrelated news, I've got a little giveaway for ya'! Have y'all heard of the new body wrap craze? I used a compression garment after my pregnancies, which really helped shrink down my stomach in those first couple of weeks, but now they have wraps that tighten, tone, and firm in a matter of minutes...and can be applied to any of the typical "problem areas"! 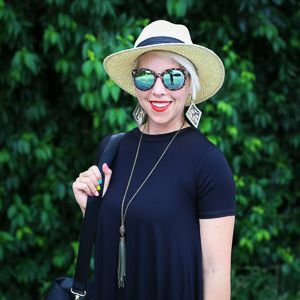 My friend Brooke is an It Works! distributor and is giving away an It Works! Body Wrap to one of my readers. If you've been wanting to try one, this is a great opportunity to see what it's all about! Feel free to check out more of It Works! products and supplements on Brooke's site here. Thank you Annie!!! We sure did! 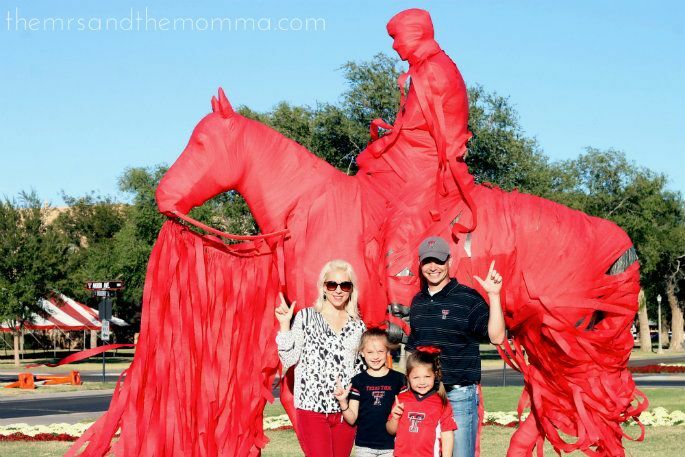 As a fellow red raider I adore this post! 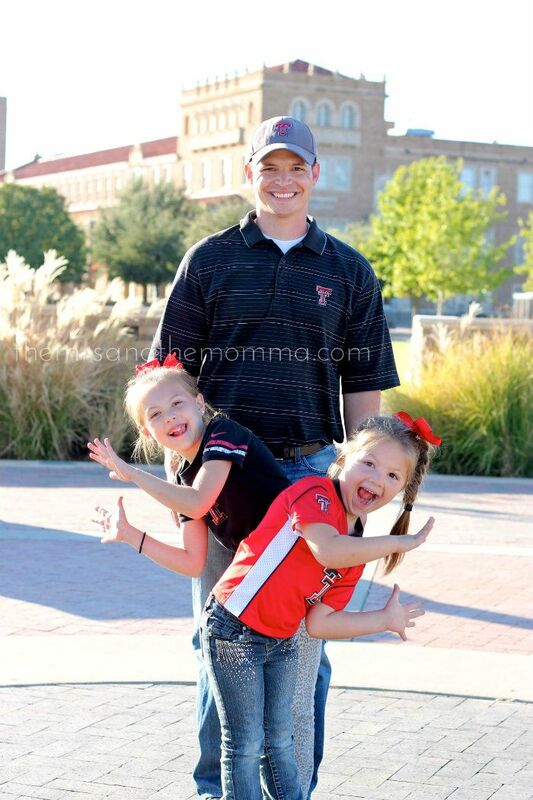 Guns up!! Maybe a wrap would help me! Great pics!